Ranked the most, aggressive self-defense system in the world, Rogue Krav Maga is also the easiest to learn. Designed for everyone Rogue Krav Maga is taught in a high energy, reality based program. Our Beginner students will learn all the strikes necessary to become "Street Safe" in only 6 months. Advanced Rogue Krav Maga takes it to a new level and introduces advanced techniques including full contact sparring, advanced ground fighting and weapons training. Youth Krav Maga students (ages 6-12) learn all the necessary, Beginner Rogue Krav Maga combatives to protect against bullying and/or abduction in an easy to learn, fun, and safe environment. Krav Girls is our first GIRLS ONLY Rogue Krav Maga program for ages 13-17 designed to help empower our young ladies to become more confident and self-aware. Young ladies will learn to aggressively protect themselves against physical harm and/or abduction using the same Beginner Krav Maga techniques taught in the Adult classes. Each young lady will have the opportunity to test out and graduate to the Adult class after a minimum of 3 months of training. Learn the proper form required to strike with precision and power. 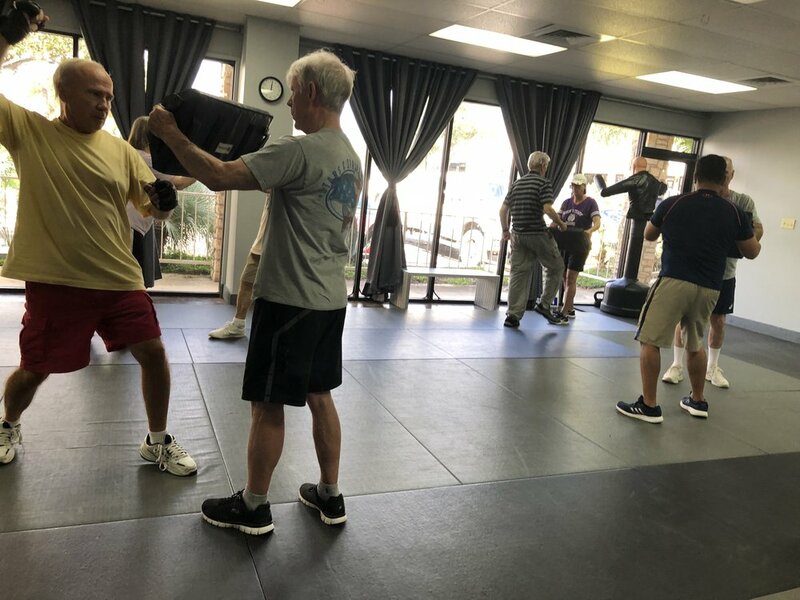 The foundation to Krav Maga is hand-to-hand Combat and this class will teach you all the upper and lower body strikes that cause maximum damage to an assailant, while helping you escape. Every self-defense maneuver taught in Rogue Krav Maga Beginner and Advanced classes use the hand-to-hand combat skills learned in the RKM Combatives. Total body, Functional Strength Training using Kettlebells, Suspension Trainers, Plyometrics, Calisthenics and more. Expect something different every class! The circuit is ever-evolving and we are dedicated to keeping the class fun and engaging! Designed for every age group and fitness ability, our certified trainers will walk you through any modification you may need to get you to your fitness goals as quickly as possible. The unique delivery of active, flowing postures on a padded floor is inspired by the unmatched core training of traditional BASI Pilates. Power Pilates incorporates dynamic resistance training to increase the heart rate and challenge the body to achieve greater strength, without sacrificing flexibility or mobility and helps reduce the risk of injury, rehabilitate previous injuries, and improve core stability. Power Pilates will tone and define the arms and legs, flatten the stomach, and help develop a perky posterior. Our Sculpt and Tone class offered every Friday at 8:30am in Wimberley is our Pilates Strength Training class. Choreographed to music, each track focuses on one specific muscle group to be trained to muscle failure. Wear shoes for this one! We Lunge and Squat until we drop! Cardio Krav Maga bag drills meets high intensity strength training. Interval Training that alternates between 2-3 minute bag drills and 4-6 minutes of compound kettle bell, plyometric, resistance and calisthenic training. This class is 60 minutes of calorie burning glory and is guaranteed to get you in Fighting Shape! The first class of its kind for the Texas Hill Country! Stability in Motion combines simple boxing and striking maneuvers with the core strengthening and flexibility of Pilates and the functional strength training of Just Core Results for our friends and family suffering from Parkinson’s or other mobility disorders to help them improve posture, dexterity, and over-all stability.